Those who attended the IRRT event last spring on small libraries in Africa may recall that one of the members of the panel, Hunter professor Kate Parry, works with the Kitengesa Community Library in Uganda. 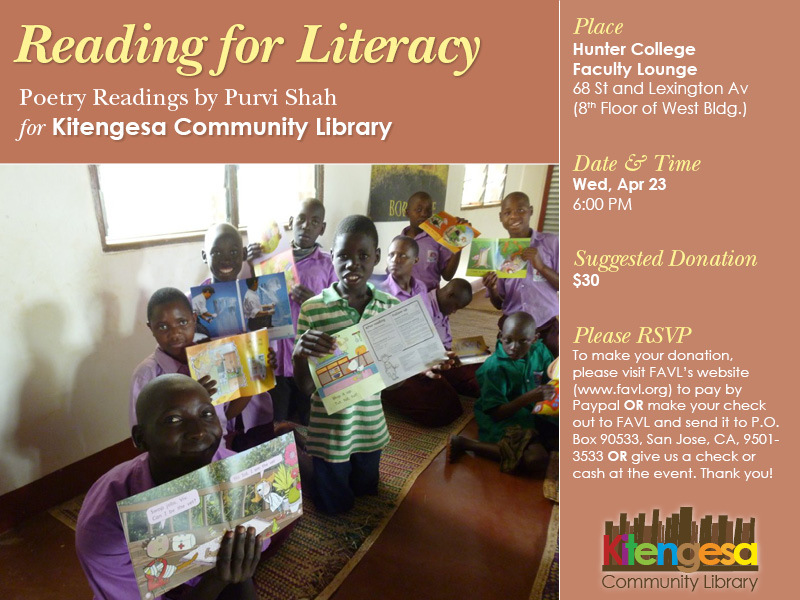 On Wednesday, April 23rd, Dr. Parry and others will be holding a benefit event, including a poetry reading, for Kitengesa at the Hunter campus. Please see the attached .jpg invitation for more details. Thank you!